Win free tickets to Julio Bashmore, Sam Demoe, Ryan WELLS and J. Goo$ey! Hey Vancouver, the contest is simple! 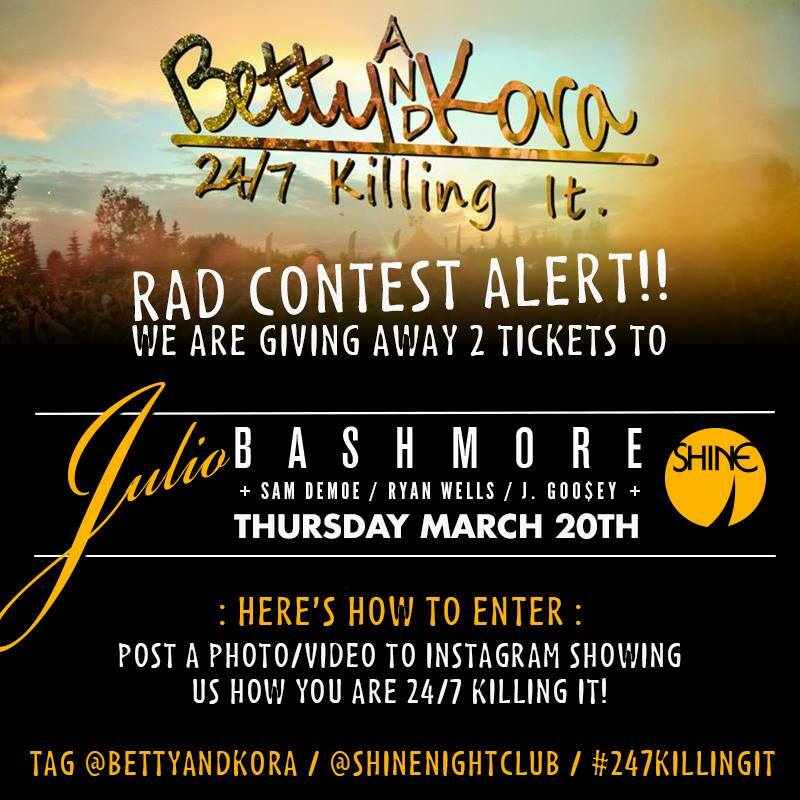 Post a photo of you 24/7 killing it on Instagram and tag @bettyandkora and @shinenightclub AND #247killingit for your chance to win two free tickets to this banger show! This is going to be one hell of a night so we need to see MORE HIGH KICKING AND LESS SITTING ON THE COUCH.